Though it may not feel like it yet, summer is fast approaching, and with it comes the adjournment of the House of Commons and the last push into election season. Naturally, for April we’ve got two things on our minds: securing an ambitious pledge from Canada to the Global Fund and preparing for the upcoming election. National Volunteer Week (April 7-13) – warmest thanks to our passionate and committed volunteers who are lifting up communities across the globe by tirelessly working towards a world without poverty. These are great opportunities to talk about global health and the importance of Canadian aid in your LTEs and follow our updates on social media! As global health advocates across the globe are asking their respective governments to step it up, our campaign for the Canadian government to support a fully funded Global Fund is in full swing, with growing Member of Parliament (MP) engagement and published letters to the editor (LTE). We need to continue to build this momentum until we hear an announcement from the Canadian Government about a commitment towards the Global Fund. Keep up the good work – keep talking about the Global Fund and keep pushing for a bold investment from Canada, in the news, on social media and with your MPs. Not only will this help secure a $1 billion CAD pledge from Canada to the Global Fund, but it will help demonstrate the value and impact of Canadian aid around the world. A bold pledge from Canada is about more than eradicating the world’s most deadly epidemics. It is a signal to the world that Canada acts on its values and is ready to work towards creating positive change beyond our borders. Canada’s investment in the Global Fund has a very real impact on people’s lives around the world. Ask Loyce Maturu from Zimbabwe, who credits the Global Fund for saving her life when she had lost all hope. She now works in her community advocating for better care for people living with HIV. Canadian investments in organizations like the Global Fund carry forward long-term impacts across communities and countries. Stories like Loyce’s are part of a larger piece of Canada’s role on the international stage. As we begin to get closer to the federal election we can also start drawing links between the Global Fund and Canada’s broader aid spending. We need to talk about these issues together, in a positive way, to show that we, as Canadians, care about how much Canada is spending on Canadian aid. This will help build support from the public and from politicians for an increase to the Canadian aid budget more broadly – something we’ll be working on before the election. If you’re unfamiliar with our Global Fund campaign or would like to dive deeper, check out our January, February and March Calls To Action. For more about information and rationale behind the $1 billion ask, make sure to read our call for a bold Canadian investment in the Global Fund. 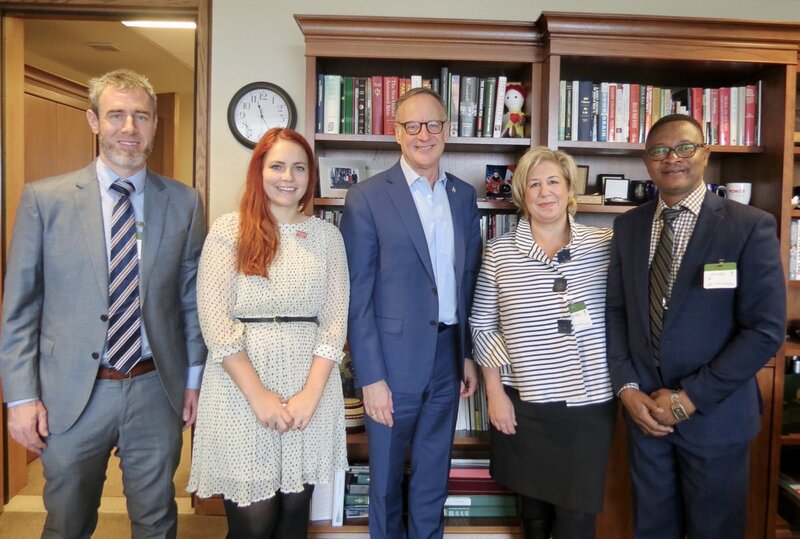 The Global Fund Secretariat is visiting Ottawa in the first week of April and is planning to meet with MPs, decision-makers and civil society groups. 5 meetings with Liberal MPs: Svend Spengemann, Rob Oliphant, Chandra Arya, Steven MacKinnon and Anita Vandenbeld. Another meeting also took place with the office of MP Holland. Other impactful actions have taken place: numerous letters to the editor and social media posts were published and emails have been sent to a number of MPs from all three major parties. And many more actions are in the works! Did we miss your action? Make sure to track your actions with your group leader or Mélissa! Ask your MP during your scheduled meeting or via email to sign the MP letter to the Prime Minister asking for Canada to increase its commitment to the Global Fund. This letter is being circulated amongst parliamentarians and senators as a way of demonstrating cross-party support for the Global Fund. All you need is their office’s verbal consent to add their name to the list. Once you have received verbal consent from your MP or their office, please contact Neha so your MP’s name can be added to the list. We aren’t collecting physical signatures for logistical reasons. – Take a picture with your MP and share it on social media – don’t forget to tag them! Write write write. April 25 is World Malaria Day – this could be a great hook for an LTE on the need for Canada to invest boldly in the Global Fund. Learn more about the challenges we’re facing today in the fight against malaria. Use your LTE as an opportunity to demonstrate the impact and importance of Canadian aid. Make sure to promote and share your letter with us, your MP and on social media! – Use keywords like Global Fund, tuberculosis, malaria, lives saved, Canadian aid. 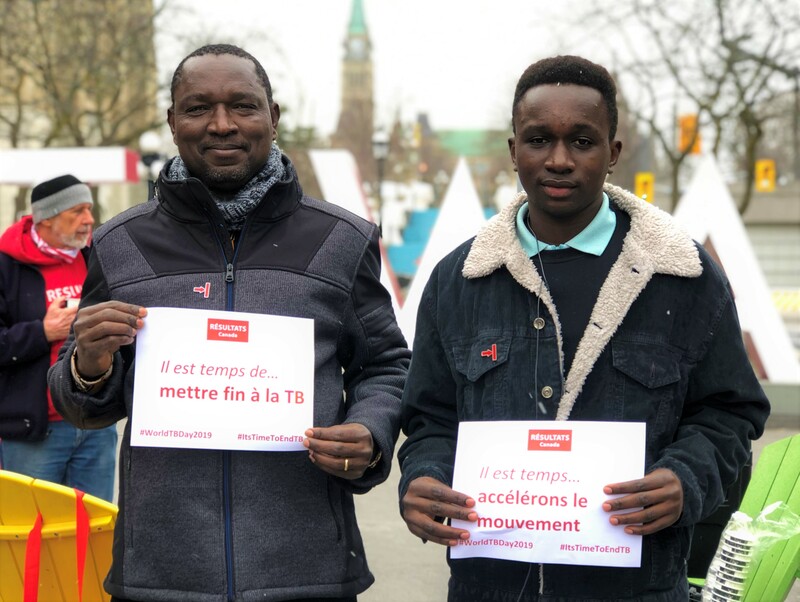 Keep up the great work on social media and continue drawing attention to the value of investing in the Global Fund by using these images and tagging @GlobalFund, @JustinTrudeau, @Canadadev, @MaryamMonsef and @cafreeland. Together, let’s grow our movement and impact by recruiting new volunteers to join your local group. – Use these social media images, talk to 5 friends about RESULTS Canada, and be sure to take the time to celebrate your commitment as part of National Volunteer Week.